Please join us for PFLAG-KC’s annual Bingo event. 7-8:30 PM! Make your reservations today! We have great prizes and a lot of fun! BRING YOUR FRIENDS! $10 donation to play and raffle tickets available! 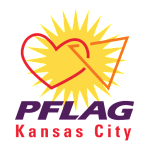 In 2018 PFLAG KC was able to provide $1,000 in scholarships to 2 high school seniors in the Kansas City area!